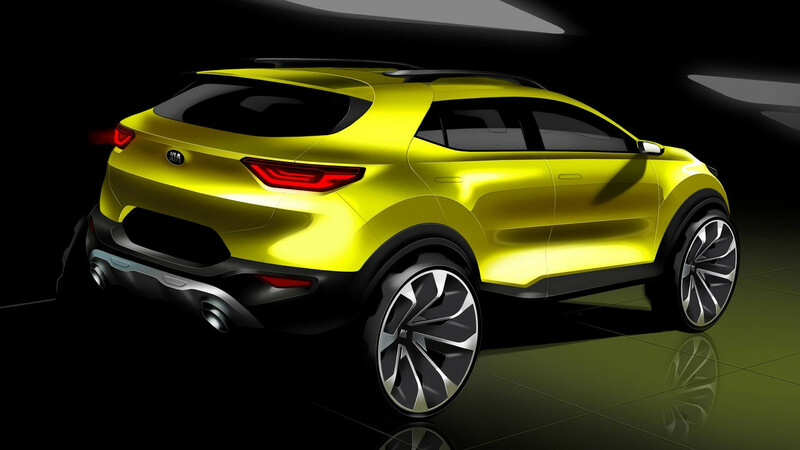 These renderings show the abstract design of Kia's next crossover. Need a model that will sell in big numbers and only cost you a few bucks to produce? Simple: build a crossover. Kia has rendered this alternative Stonic Concept, a compact ute with more angles than the JFK assassination conspiracy. Slated to compete against fresh new faces like the Toyota CH-R and Ford EcoSport, the Korean crossover could enter the brand into a new segment that's proved to be worth while for many automakers before it. Kia says that the name is a mashup of "speedy" and "tonic," which is kind of like the word "synergetic"—it doesn't make much sense. They also say it represents the beginning and ending note of a musical scale. It's rumored that the Stonic will ride on the same platform as its Hyundai sister-model, the Kona. Apart from its underpinnings, it doesn't look to share many of its radical parts with anything else. Interior drawings show that of a contemporary cabin targeted towards young buyers, much like other examples in the category. 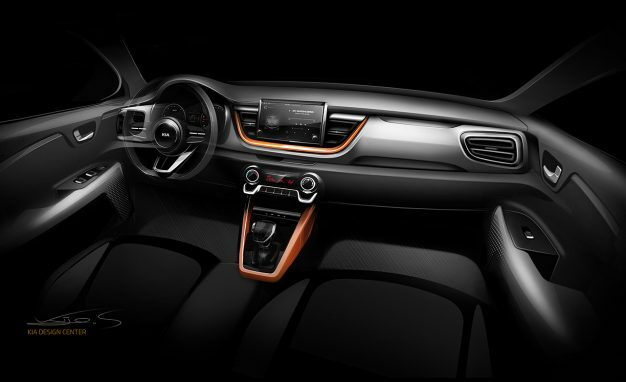 A "floating" center infotainment screen stands out in a sea of offbeat shapes, foreshadowing what will surely be fitted with smartphone app capabilities like Android Auto and Apple Car Play. Kia says that it will be the most customizable vehicle it offers as customers will be able to choose from a list of color schemes and new-fangled options. This better suits the up-and-coming demographic which likes to have a variety of choices and personalization. We expect the production version to be toned down considerably, but it will surely keep its contemporary demeanor. The Stonic could be a catch-all for Kia as it will have equipment to fit nearly every CUV customer -- good fuel economy, acceptable practicality, and most importantly, style. Question is, do you feel like spending this much money on what's really a Kia underneath? Kia's premium twin-turbo sedan lays down the numbers quicker than expected. So what if North Korea is blowing up? These are rear-wheel drives, dude. Whoever kisses the 2017 Kia Optima the longest becomes the proud new owner.